Second, it raises questions about family-school partnerships. This is the second time the school has organised an excursion to the Apple Store. Quite a few parents were concerned last time and there was a lot of discussion at the Parents and Citizen’s Association (P&C) after the event. While some parents supported the excursion, others did not (and at least one family did not allow their child to attend). Given the depth of feeling last time, I think it is unfortunate that the school did not consult parents before organising it again this year. The following is a letter we sent to the school (with our note giving permission for her to attend the excursion). Retailers, including Apple, have been intensifying their marketing toward children for some time and now seek to instil brand loyalty from a young age (Harrison et al., 2010) According to Tsai (2005) the Apple Store is an important part of Apple’s marketing strategy. 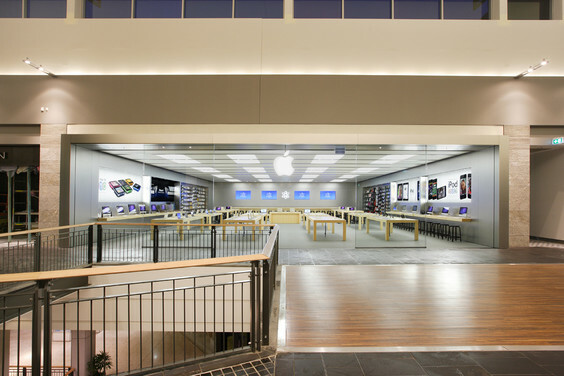 Designed to make the consumer experience more visionary, valuable, meaningful, memorable, and enjoyable, the Apple Store not only provides Apple Computer Inc. with considerable revenue growth, but also underscores a new philosophy of marketing (section 2.1). We are disappointed that, after the reaction to the trip last year and the concerns expressed at the P&C following the excursion, it was not raised at the P&C before this one. A key theme from last year’s workshop with parents was the importance of two-way communication and this excursion was an example where it would have been appropriate for there to be discussion with parents. Because of the nature of the excursion (a trip to a shop that is trying to sell things), it is not just an educational matter. There are also broader implications (e.g., pressure on parents to buy products) which need to be considered. The strength of some parents’ concern last year was an indication that it was an issue worth discussing with parents. We presume that the cost of the excursion is travel only and that none of the money is going to Apple. If this is not the case, it should be communicated to parents. We will be discussing the excursion with Alexa in terms of the marketing techniques used by Apple to entice loyalty to a brand, how the excursion was essentially a marketing strategy for Apple and whether or not she believes it was an appropriate school excursion. (And it would be fine for her to say that it was a good excursion.) We hope the school will also encourage students to critically reflect on the experience in order to assist them to be aware of the subtle methods of advertising they are increasingly experiencing. We are allowing Alexa to join the excursion because we don’t want her to be excluded from school activities with her peers. We do, however, feel disappointed that the school appears to see it purely as an educational opportunity, without recognising the broader issues involved that have an impact on families. What do you think? Is it an OK excursion or is it part of an undesirable trend? Harrison, P., Chalmers, K., d’Souza, S., Coveney, J., Ward, P., Mehta, K., & Handsley, E. (2010). Targeting children with integrated marketing communications. Adelaide: Flinders University. This entry was posted in Schools and tagged Apple Store, Children, Commercialisation, Family-school partnerships, Marketing, Parenting, Schools, Working with communities. Bookmark the permalink. 4 Responses to A school excursion to an Apple Store! Is that OK? Oh dear! I would be quite upset with this as well. Is the teacher sponsored by Apple? Does s/he get a free ipad? Very strange that the school approved of this one. Would a museum or gallery not be more suitable? Hi Graeme, I agree with your sentiments and would have an issue with the excursion also. The issues were handled very evenly in your communication with the school. I think your intention to arm your daughter with some critical questions prior to the excursion is a good one and perhaps could be a lead for the school to build this into the experience for all of the attending students as part of the learning outcome. These are skills that young people (and parents) should have to counter the broad range of marketing strategies used to sell a variety of products we encounter every day. Of particular concern in this realm for me is fast food/sugary drink/confectionary promotion, but there are many other examples. As a post script, doesn’t the school realise that most young kids really don’t need any education on how to use Apps these days – I generally rely on my kids (12 & 14) support for most IT related issues. I think the time might have been better spent visiting a local community project! You are right to ask for the learning plan from a visit like this. On the other hand as you say useful to point out to your child to be objective, have some questions and thoughts ready and have a look at how a company like Apple market their products.